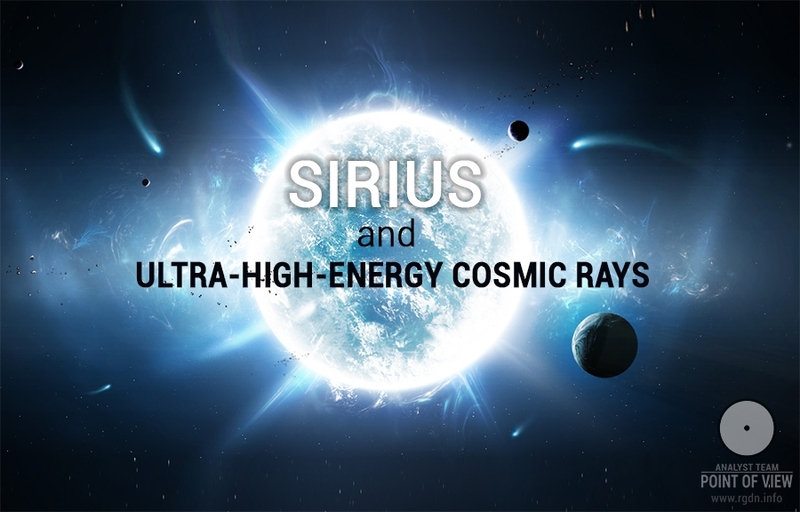 “Why do researchers believe that ultra-high-energy cosmic rays are of extragalactic origin? Because very strong and extensive magnetic fields are needed to accelerate particles to such energies. Roughly speaking, the stronger and more extensive a magnetic field is, the greater is the energy of particles accelerated in it. Moreover, researchers know very few reasons why such fields appear. Some objects, e.g. neutron stars or quasars, may produce giant fields. However, the size of such objects is rather limited. Other objects, i.e. 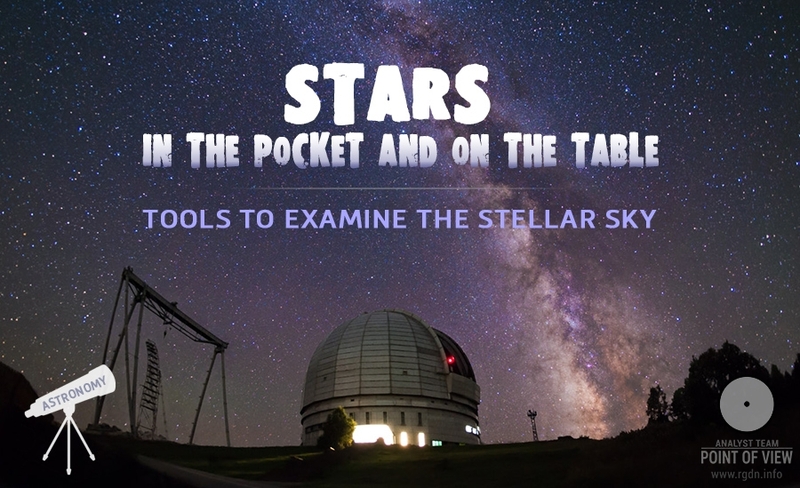 galaxy accumulations, produce less intensive fields, but may cover millions of light years. Both types of objects are regarded as possible accelerators that produce ultra-high-energy cosmic rays, but none of them exist in our Galaxy. It is obvious in the case of galaxy accumulations. As for compact sources, everything is rather simple, too: if at least one such source existed in the Milky Way, arrival directions would be very heterogeneous pointing to the source, but no heterogeneity is observed. Hence, even before the publication of considered results physics had serious reasons to believe that ultra-high-energy cosmic rays are of extragalactic origin. 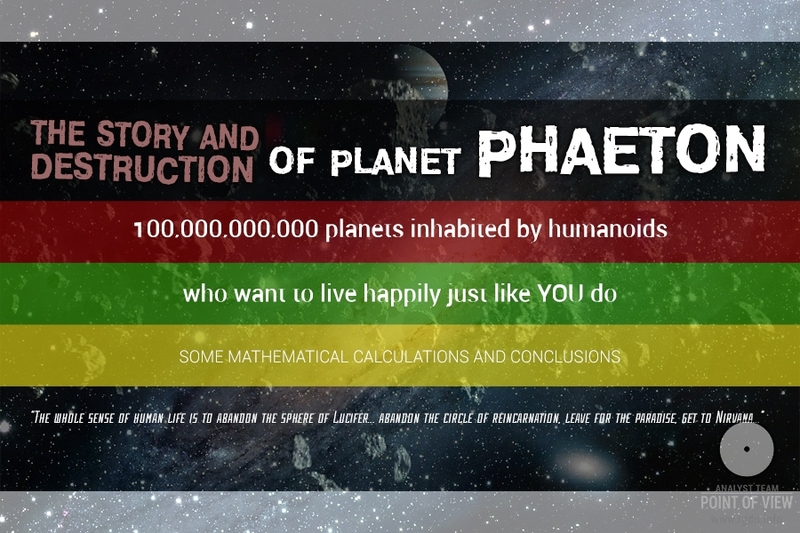 At that, new data obtained by the Pierre Auger Observatory have finished the discussion. So, there are no sources of ultra-high-energy cosmic rays in either the Milky Way or its close vicinity. Yet, where are they? Which monstrous sources accelerate particles to energies so enormous? “The Pierre Auger Observatory located near Malargüe in Argentina occupies an area of 3,000 km2. 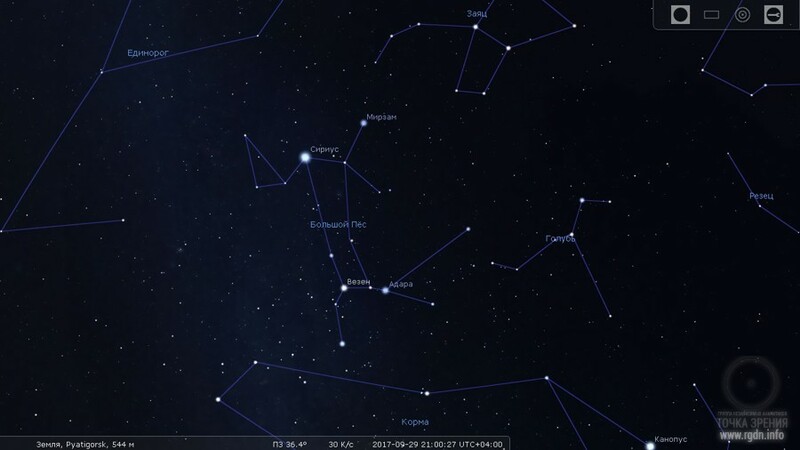 It was established especially for studying cosmic rays and cascades of secondary elementary particles engendered by such rays in the atmosphere, which are called cosmic-ray air showers. 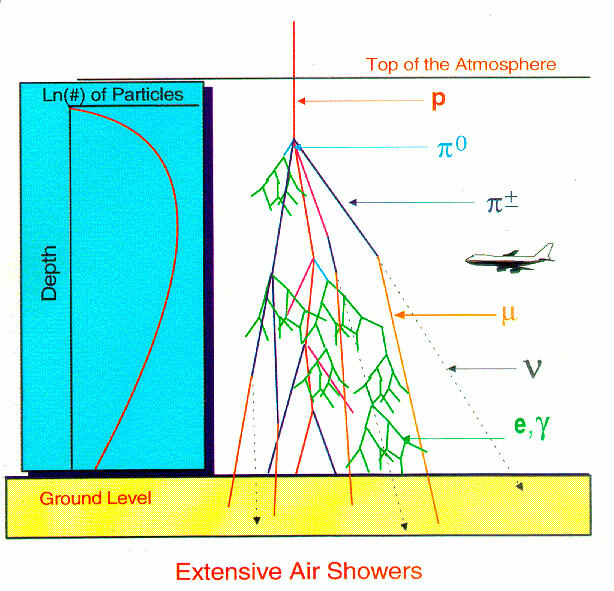 Cosmic rays with energies of over 1014 eV engender air showers big enough to reach the Earth’s surface. When the energy of a ray is 1018 eV, the number of particles in the air shower reaches 1010. At that, the area of the air shower when it reaches the Earth is about 20 km2. The air shower spreads in the atmosphere at a speed close to the speed of light. At any moment in time the air shower particles are located within a rather thin disc that expands as it approaches the ground (see Figure 1). The Pierre Auger Observatory uses two types of detectors – fluorescence and surface ones. Fluorescence detectors represent very sensitive cameras that observe the atmosphere above the observatory and detect fluorescence of atmospheric nitrogen that appears when a cosmic shower flows. 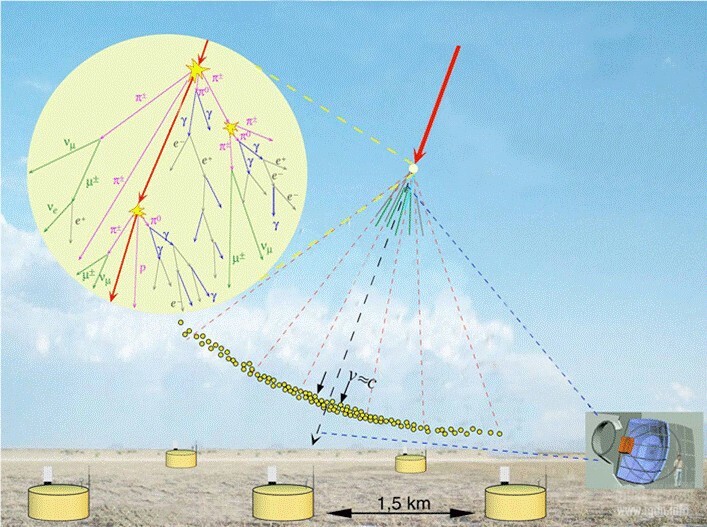 Surface detectors are placed on the ground at the nodes of a triangular grid with a pitch of 1.5 km, and there are 1,600 of such detectors in total (see Figure 2). They register signals coming directly from the shower particles. It is noteworthy that once a disc of particles reaches the ground the signal on different detectors emerges at different times. This makes it possible to ascertain the direction from where the air shower has arrived, with a precision of up to 1°. Such precision may seem not very significant (e.g. 1° is a value twice greater than the angular size of the Moon). Yet, in this particular case this proves to be sufficient. On their way through space and especially across our Galaxy cosmic rays deflect in magnetic fields they encounter, and the angle of such deflection is proportional to the particle charge. 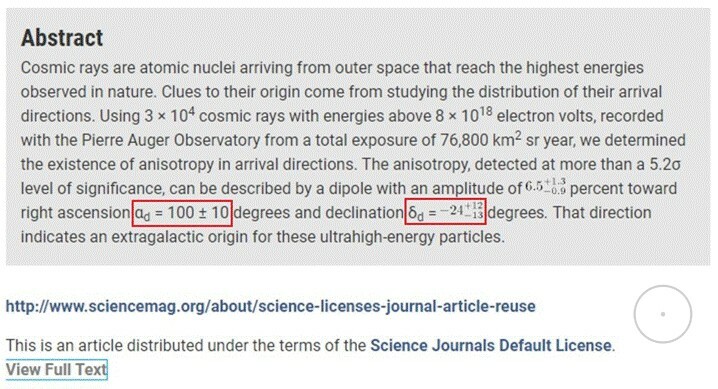 The charge of ultra-high-energy cosmic rays is 1.7 to 5 proton charge units on average (here we call particles not only protons but nuclei, too: cosmic rays contain nuclei of chemical elements down to iron). Depending on the arrival direction of a particle relative to the Milky Way’s magnetic field, the angle of deflection may be up to several tens of degrees. Knowing the Galaxy’s magnetic field, it would be possible to ascertain the true arrival direction as it was before the deflection within the magnetic field. However, available models of the Milky Way’s magnetic field so far do not allow such analysis with relevant precision. In any case the current precision of arrival direction estimation in the discussed experiment is better than the precision we can achieve in principle. 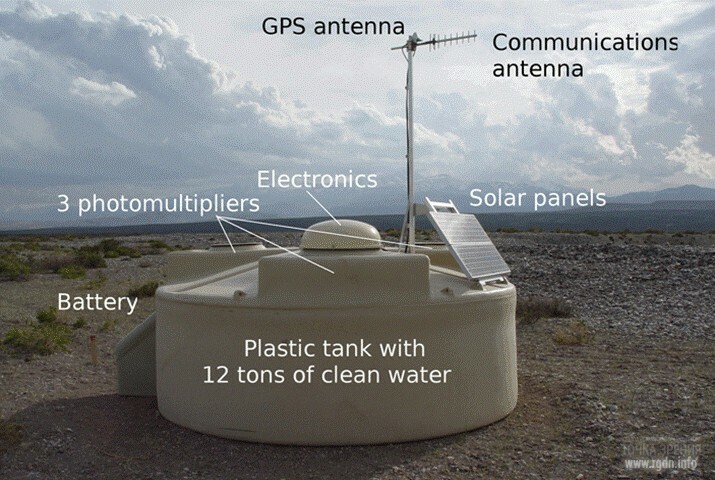 Moreover, our priority task is to detect at least some heterogeneity in arrival directions of ultra-high-energy cosmic rays, and for this no better precision is needed. “Figure 3 features distribution of a flow of cosmic rays with energies of over 8×1018 eV across the celestial sphere at equatorial coordinates. The red area means a higher-energy flow, and the blue area means lower energies. The only fact that the upper limit of such distribution is far from the Galactic Centre direction is already indicative of an extragalactic origin of such cosmic rays. Furthermore, when energies are between 4×1018 eV and 8×1018 eV no heterogeneity of the flow has been detected. This is due to the fact that the angle of deflection of cosmic rays in the Galaxy’s magnetic field at such energies is very broad, so we are simply unable to observe heterogeneity of their arrival directions. This is another evidence of an extragalactic origin of ultra-high-energy cosmic rays. After all, should any heterogeneity in arrival directions be detected, this would prove such particles are engendered within our Galaxy and not beyond it. Please, note that heterogeneity is very small in numerical expression: the blue and red areas correspond to close values (see numbers at the colour scale). For this very reason it took us 12 years to discover heterogeneity. Here we can see the results of the analysis of data collected between 2004 and 2016. 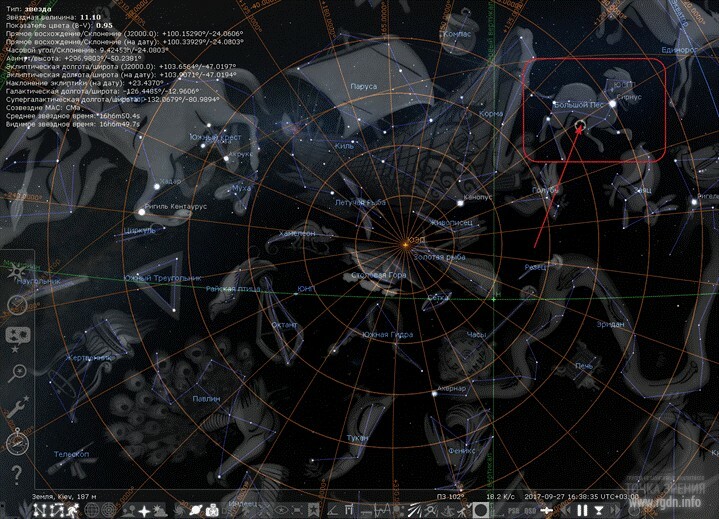 These very coordinates (the right ascension of 100° and the declination of f –24° (4)) appear quite interesting. 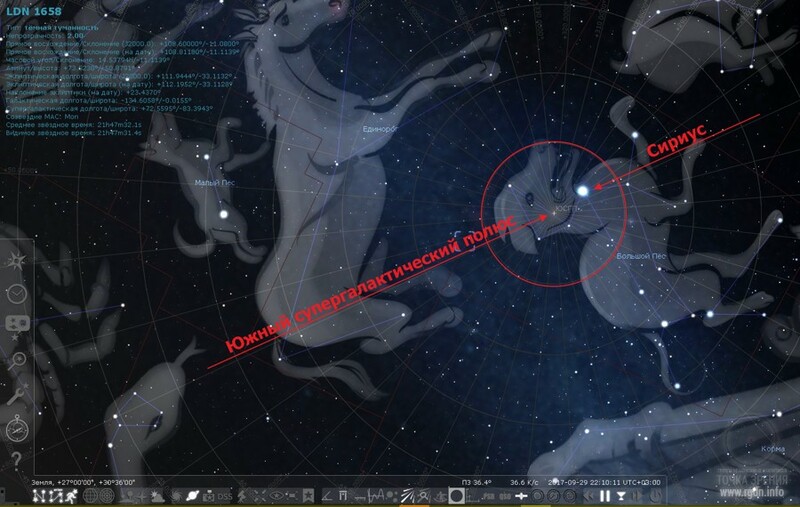 By means of Stellarium software (5) it is easy to determine the point in the stellar sky with such coordinates (see Figures 6 and 7). “These results may seem not very impressive, but it’s a significant success indeed. 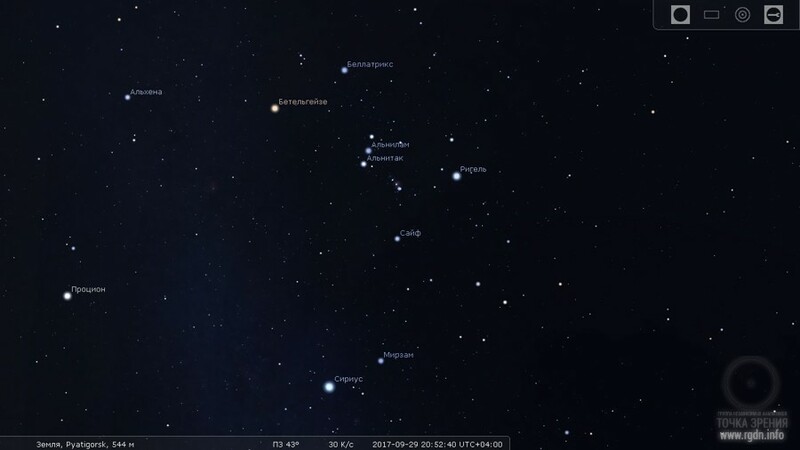 The official speaker of the Pierre Auger Observatory Professor Karl-Heinz Kampert expressed the following opinion on the experiment, “We have become much closer to a solution to the issue so interesting for astrophysicists – the riddle where and how these extraordinary particles arise. Our observations provide incontrovertible evidence that the places where such particles accelerate are beyond the Milky Way.” Professor Alan A. Watson, distinguished scientist and one of the experiment founders, regards this result as one of the most impressive of all results obtained by the Pierre Auger Collaboration. Indeed, for over 50 years the nature of ultra-high-energy cosmic rays has been a total riddle to physicists, and now a clue to it has been approached for the first time. Interestingly enough, it has been ascertained that protons make up 92% of cosmic rays (see Figure 8). “Which legends, for example?” Nikolai Andreevich asked. “Do you see how long this chain of human transformations and fantasies is? Yet, everything was simple in the beginning. Ancient Egyptians initially explained Sakh as life-giving energy. 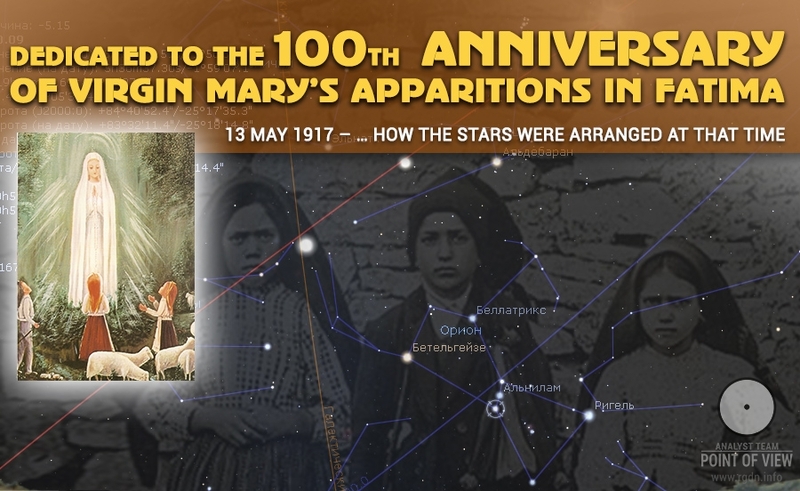 Owing to the Sakh-Ba-Shu state as it was called by ancient Egyptians, or saying in our language by means of a certain spiritual practice, a person achieved a special state of the ‘highest enlightenment’. Pyramidal structures played a great role in that as one of preconditions for this practice on achievement of such a state of ‘enlightenment’. 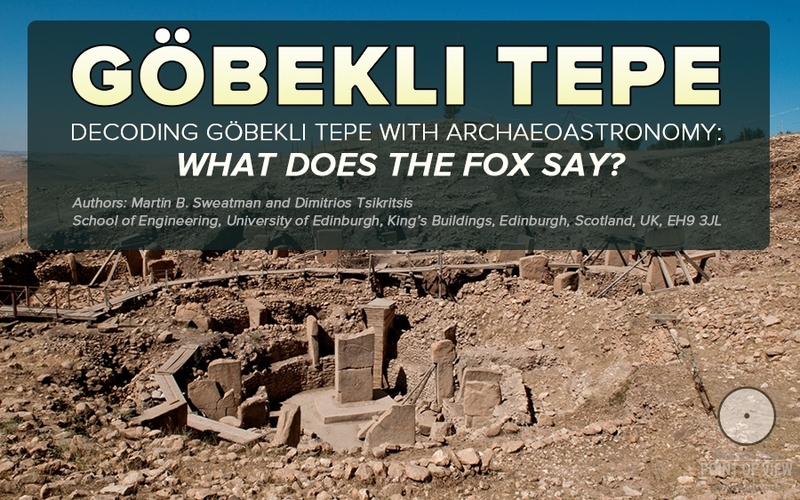 First those were stone pyramidal buildings or hills. By the way, later on this was one of the reasons why ancient Egyptians worshipped the sacred pyramid-shaped stone Ben Ben.